The musical Annie which Ray Stark produced. One of Barbra Streisand's most successful movies produced by Ray Stark. Story was based on Frannie Brice, who was Ray Stark's mother-in-law and mother to his wife Fran Stark. 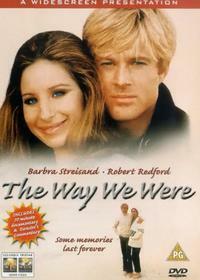 The Way We Were starring Barbra Streisand and Robert Redford, produced by Ray Stark. The Stark home was maintained on such a high expectation level that producer Ray Stark so appreciated, he sent Dora a money gift telling her to go buy something to enjoy, and she did.